← November, 2011. We hold a non-board meeting and are denied a charge conference. 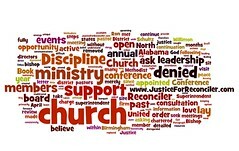 We filed our complaint about the disenfranchisement of our church in October. Four months later, Bishop Gwinn dismissed our complaint against Bishop Willimon. There had been no investigation. 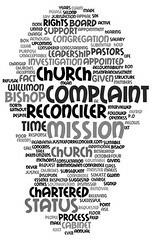 Although Bishop Willimon was permitted to answer our complaints, we were not provided a copy of that response until we requested it following the dismissal. Not one person who signed our letter of complaint was interviewed. We did not have an opportunity to respond to Bishop Willimon’s statement. As had been the case throughout this entire ordeal, we were not heard. The Discipline was not followed. Justice was still denied.